I developed this game as a learning exercise using libGDX’s scene2d and box2d libraries on my spare time. The code is by no means perfect, but I hope it helps you get on the right track if you are looking to develop The Next Awesome Game. 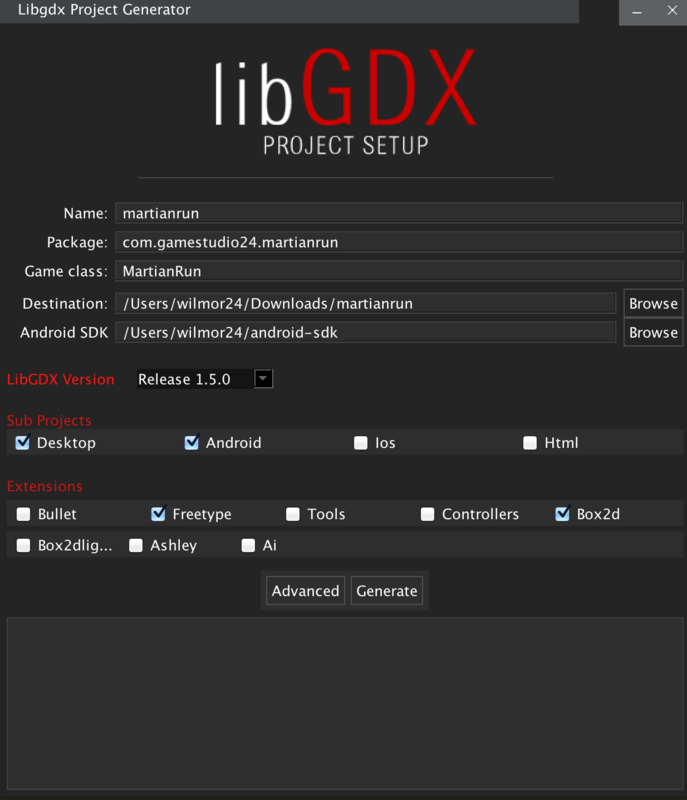 Also, even though libGDX is a cross-platform framework, I only targeted Android as my final release platform and I targeted desktop for testing purposes. NOTE: I won’t be explaining much related to libGDX or box2d as they already have excellent documentation. I’m only guiding you through my own implementation of a game using these tools. If you don’t understand why I’m using a particular class or what a physics body is I strongly suggest taking a look at libGDX’s wiki before moving forward. This tutorial guides you through the basics of how I implemented the game. The code from these posts is on GitHub. You are free to use it as you wish. Before we start writing any code, let’s take a look at the game concept. This is the silly story I came up with: You are an alien and giant insects are attacking your city! Your goal is to escape by running as much as you can while avoiding all insects. There are only to ways of avoiding insects: jumping and dodging. The jump button will be the right side of the screen and the dodge button will be the left side of the screen. With our awesome design done, let’s build the game! Let’s set up a new project using the gdx-setup tool they offer. We’ll be using box2d, so make sure to include the extension during the setup. Like I said before, I’m only targeting Android as my build platform and will use desktop for testing, so no iOS or HTML. To honour the JVM settings for this build a new JVM will be forked. Please consider using the daemon: http://gradle.org/docs/2.2/userguide/gradle_daemon.html. I won’t go over importing the project into an IDE since it’s part of a libGDX project setup and it is up to you which IDE to use (in case you are wondering, I’m using IntelliJ IDEA 14 at the time of this writing). The first thing we’ll do is to make our game class extend Game so we can support multiple screens. We won’t be using multiple screens for this game but I suggest doing this part in case you want to add multiple screens in the future, e.g. for a splash screen, separate menu screen, leaderboards, etc. Once created, we need to make our game class set our GameScreen on startup. The last thing we need to do for our setup is to set the height and width of our game. We’ll make this game 480x800. Let’s store these values in a Constants class inside a utils package. Go ahead and run the project. 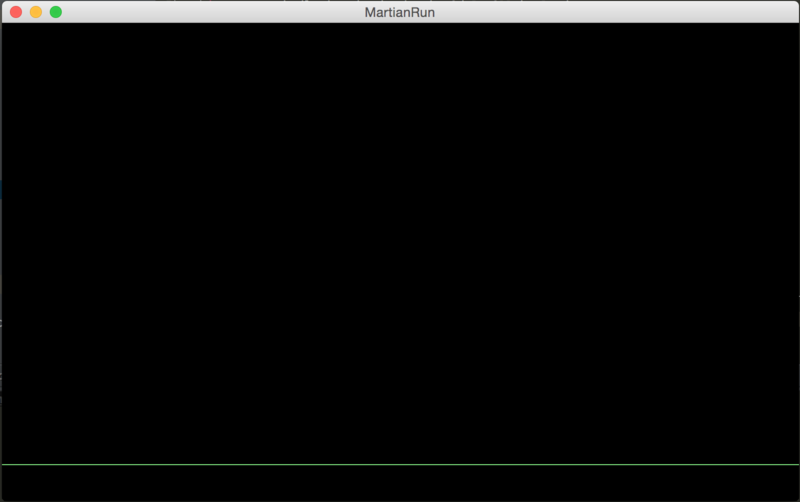 So far, we have set up a game with a screen running on a 480x800 window. Now we’ll start creating our physics world. It’ll consist of a ground, a runner, and enemies. Even though our runner will be the one running through the city, we won’t be actually moving our runner body along the x-axis but make the enemies move towards the runner to while giving the illusion he is moving forward with sprite animations. Box2d makes it easy to control bodies and control their physics, such as jumping, colliding, moving, etc. If you don’t know box2d at all, I recommend taking a quick look at its documentation. Let’s make a class that takes care of creating our bodies. Create a WorldUtils class inside our utils package and create a function to set up the ground. Let’s take a look at what we just did. We defined a utility class WorldUtils which will take care of creating our world components. For now we’ll only create the ground and the world itself. The ground is created as a static body with a width of 25 meters and a height of 2 meters and it is created as a box. In fact, all of our bodies will be boxes of different shapes. The world is created with a gravity of -10 m/s^2. Box2d works best when using real physics values. In fact, the documentation warns the engine to be buggy if using exaggerated world values. Ok, so we have these functions to create a world and the ground, but where do we use them? We could use them inside our GameScreen; instead, we will add them to a Stage which will be added to the GameScreen. A Stage is part of scene2d and is an input processor that can hold many Actor objects and handle their drawing and input events. We will add Actors later on but it is better to set up the Stage now so we don’t have to move the code from the GameScreen later on. You probably noticed the Fixed timestep comment inside the render function. Like the libGDX box2d documentation says, stepping the simulation is a topic itself. I followed this article to implement my version of fixed timestep. We probably need to implement interpolation as well, but I’ll leave it as a TODO for now. In the next part, we’ll add our runner with some basic controls. If you have any questions or comments, feel free to let me know in the comments section.